I was there a couple of years ago and liked it. I hope it's been restored to something like it was then. I remember we went to the Pad Thai afterwards, and the evening was spoiled by a screaming match between the manageress and a dissatisfied customer. Not the best of PR...however, there's a steak and mussel place in West Malling too, and that was excellent. Yes, it did turn in to a wine and cocktails venue, but they failed to make it work and have gone of somewhere else. New chap in place recently - looking after the beer and hoping to bring it back to its former glory. 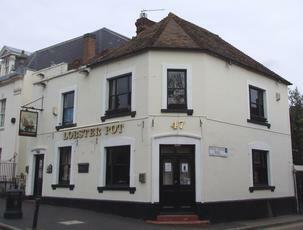 Used to be a good pub but after the make over it has become like all the other refurb's modernised, with no character. Use to be a favourite of CAMRA locals but doubt if you will see them in there now.